Wendy’s president and CEO Emil J. Brolick unveiled in the company’s fourth-quarter earnings call yesterday a new recipe to “take the brand where we need it to be,” and said reviving the iconic brand will require competing with upstart fast-casual brands. He said restaurants such as Chipotle Mexican Grill, Five Guys Burgers and Fries, and Panera Bread have grown at a compounded rate of 6.7 percent over the past five years and, not including the breakfast daypart, “have gained virtually all the share, or accounted for all the growth” in the quick-serve segment during the last five years. 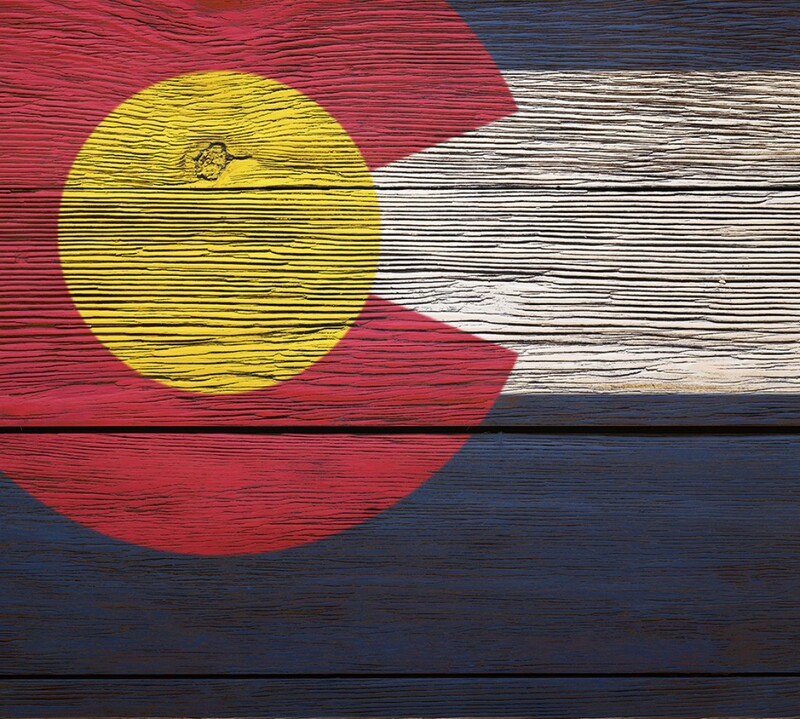 The top headlines, trends, and buy-outs in the restaurant industry this year. With concerns about the economy running high, restaurant industry mergers and acquisitions dipped noticeably. None of 2011’s mergers came close in value to the previous year, when Burger King and CKE, parent of Carl’s Jr. and Hardee’s, were each sold for more than $1 billion. Instead, there were smaller deals and one big buyer, Roark Capital Group. Drive thru opportunity in front of the Wal-Mart Supercenter in Pueblo, Colorado. Two separate build outs available. 2,285 SF building on a 22,000 SF lot. Download Brochure. 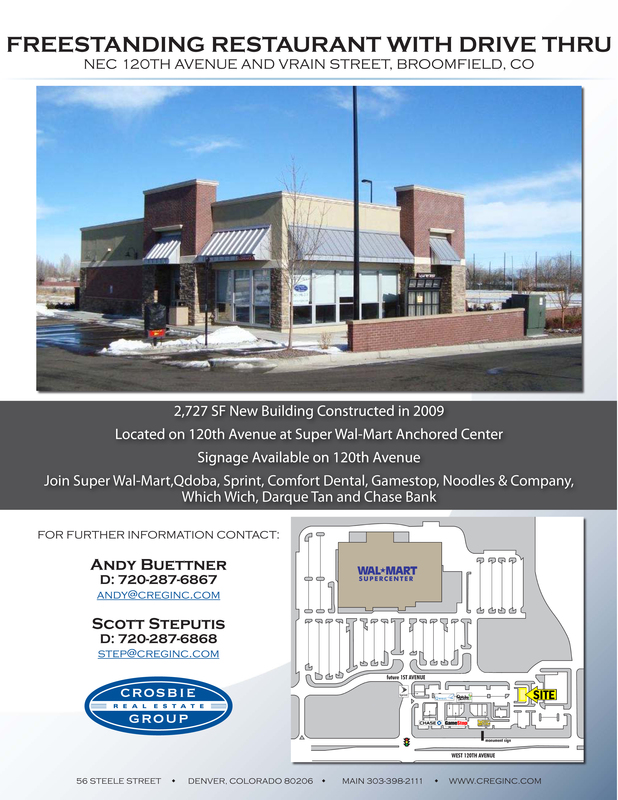 Looking for a Freestanding Restaurant with a Drive Thru in Broomfield, CO? 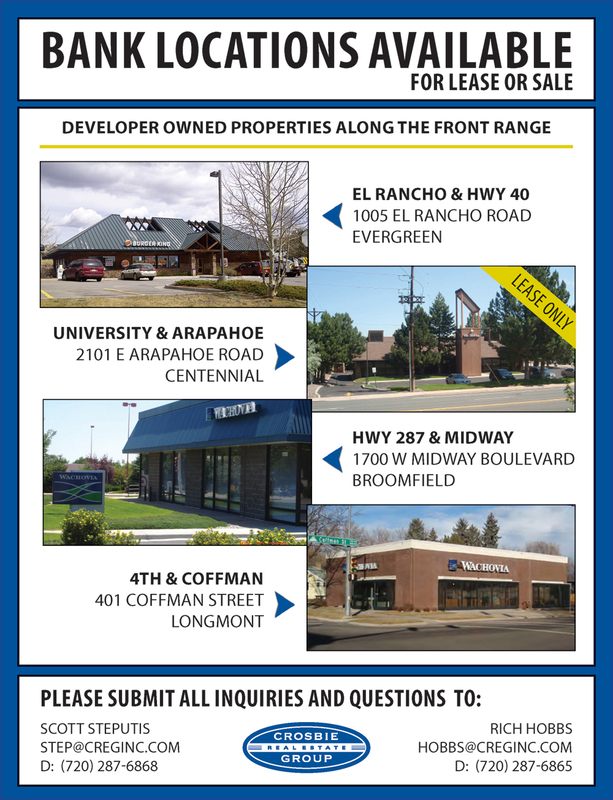 The former Carl’s Jr located on 120th and Vrain Street in Broomfield, Colorado is now available. Signage available on 120th for excellent visibility. 2,727 SF New Building Constructed in 2009. Download Brochure.